ESWET sees some shortfalls in the EU Commission‘s concept on waste plastics and offers alternatives. Maximising resource recovery and reducing the amount of material from end-of-their vehicles sent to landfill. 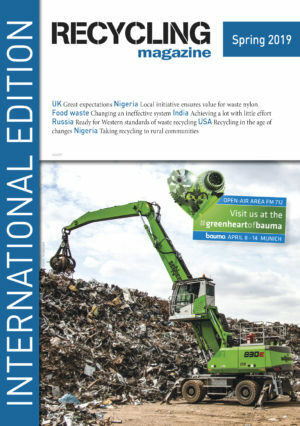 Incinerators struggle with the European’s Commission‘s stand on waste-to-energy and developments in some European countries. 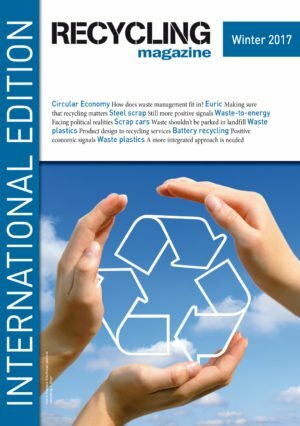 A recent study has examined waste management in the EU in the context of a circular economy transition. According to a study, India needs space the size of New Delhi for landfill – but that alone won‘t solve the problems. For the first time in its history, Euric discussed the current state of Europe‘s recycling industry outside of Brussels. Ecuador has established an infrastructure for recycling, especially for metals and WEEE. The majority of participants at the ICBR see both the current situation and the business outlook in a favourable light. Recoup sees the opportunities within plastics recycling coupled with technical advancements being made. In light of certain new developments, particularly Brexit, the gap is far from being closed. After suffering in recent years, the ferrous metal scrap market has improved significantly. The largest of the Ionian Islands is home to thousands of tourists and has to deal with high temperatures.